If you read my blog you will know that I previously collaborated with Amara Living on a Valentines Day gift guide for her where I featured some Kate Spade products from their site. 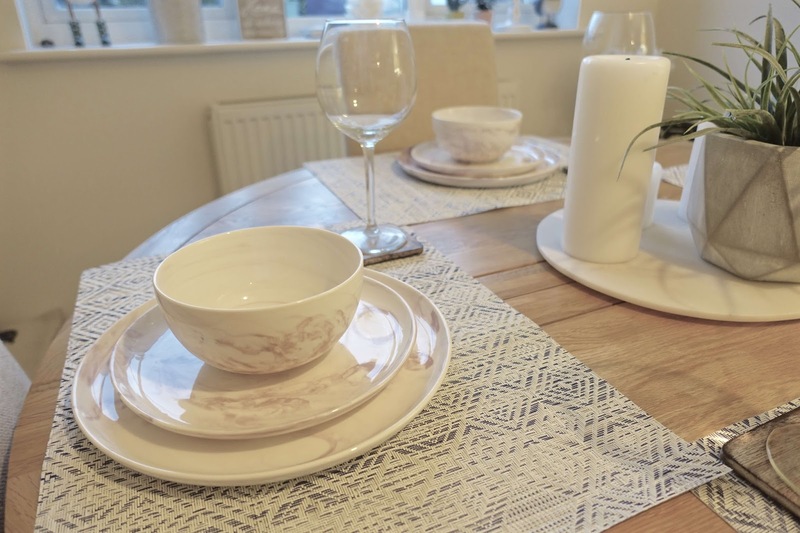 This time I bring to you - a gorgeous tableware set from Amara Living! 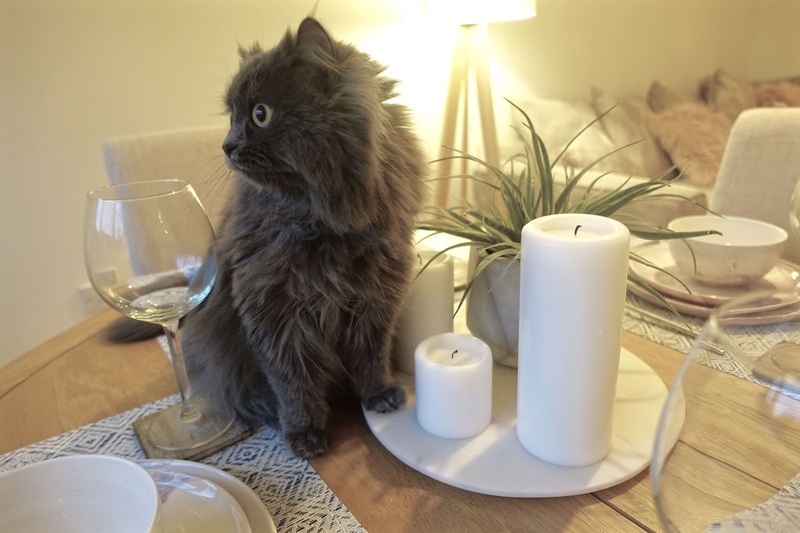 They asked me to pick some products from the site to help me style my very own spring/summer table setting. 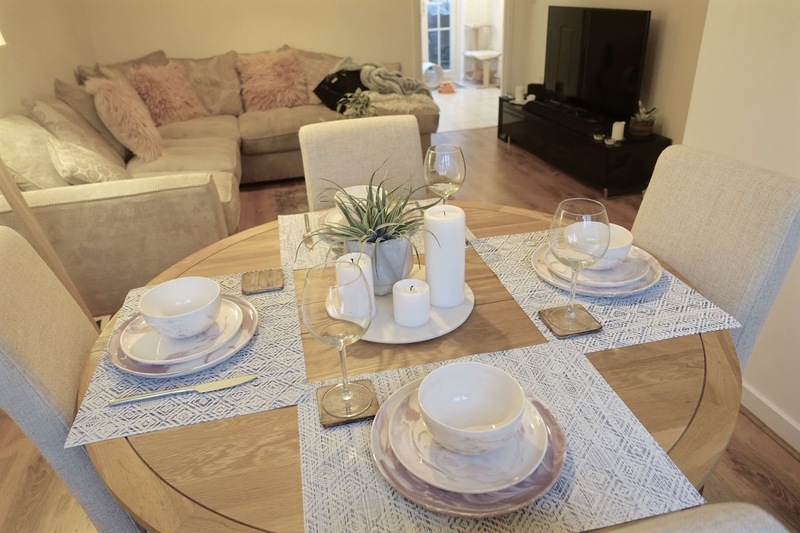 If you're not already familiar with Amara Living, the website initially started its life as an interior design business, which has now evolved to an online store, aiming to help bring designer style and expert knowledge to every home. 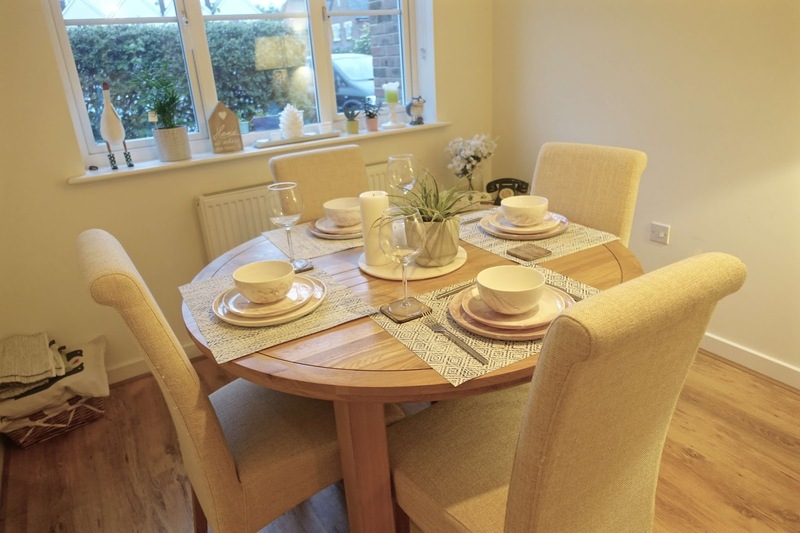 It's a great place for discovering new home interior and lifestyle brands! I had lots of fun styling this spring/summer table setup. 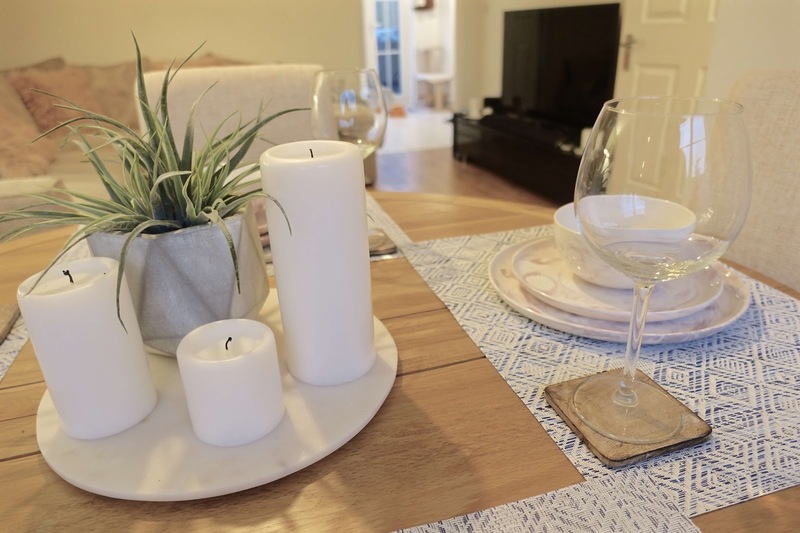 I always find myself lusting after lots of homeware products on the Amara online store. 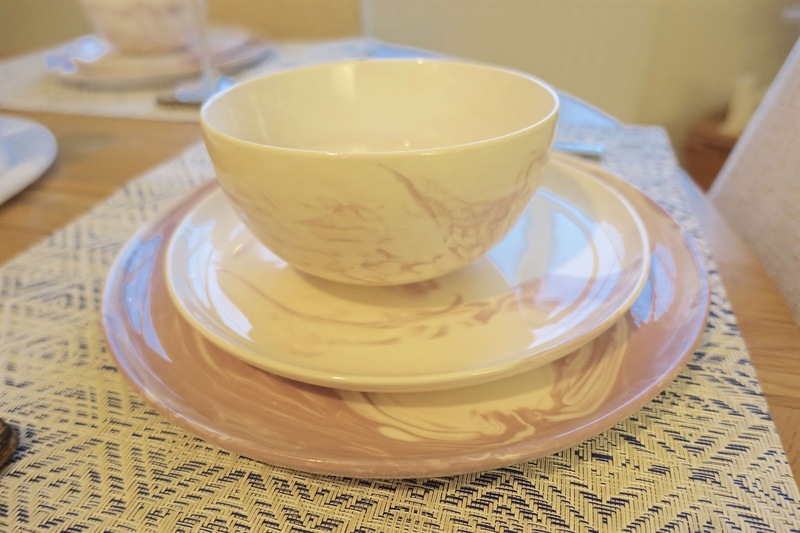 I knew that marble products were the way forward which is when I stumbled across these beautiful and delicately unique new bone china marble plates and bowls by Blisshome. 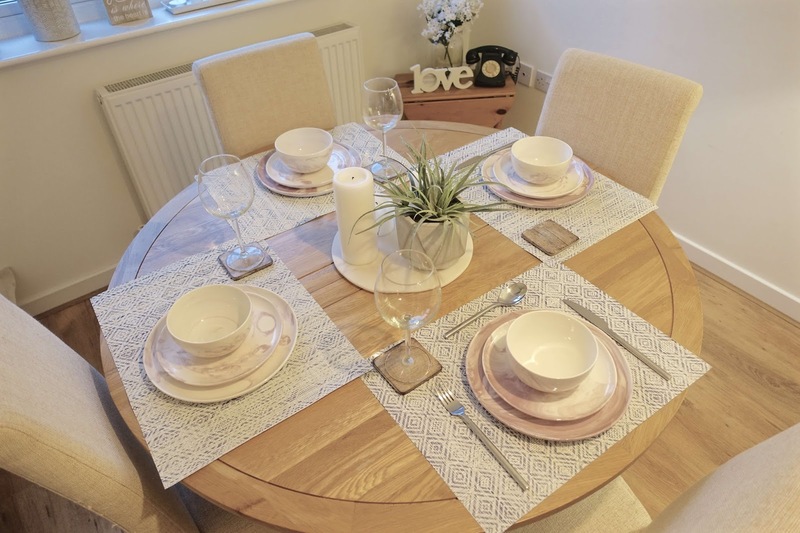 Each piece features a swirled marble inspired pattern in soft pink tones. I wanted something unique from the typical high-street store and the key selling point for me was that each piece is completely unique due to manufacturing methods, so no two patterns are ever the same. 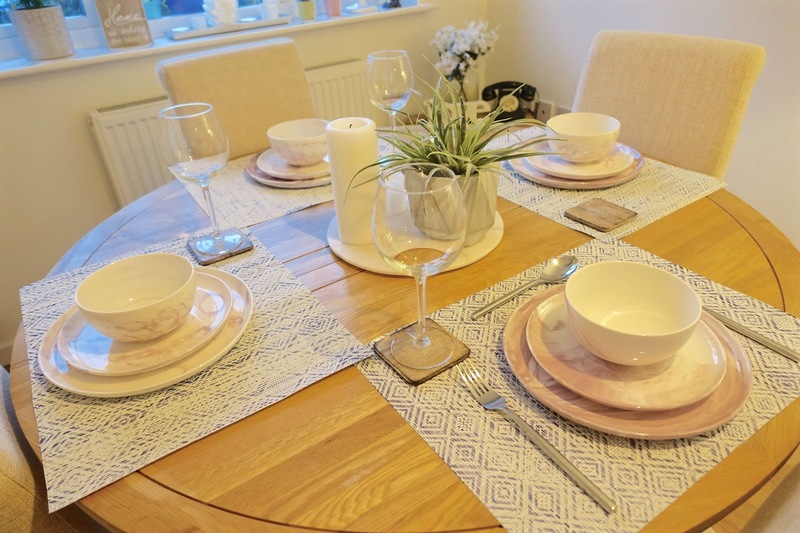 One of the main things I wanted to achieve with my spring/summer tableware setup was a coordinated look across my entire dining table. 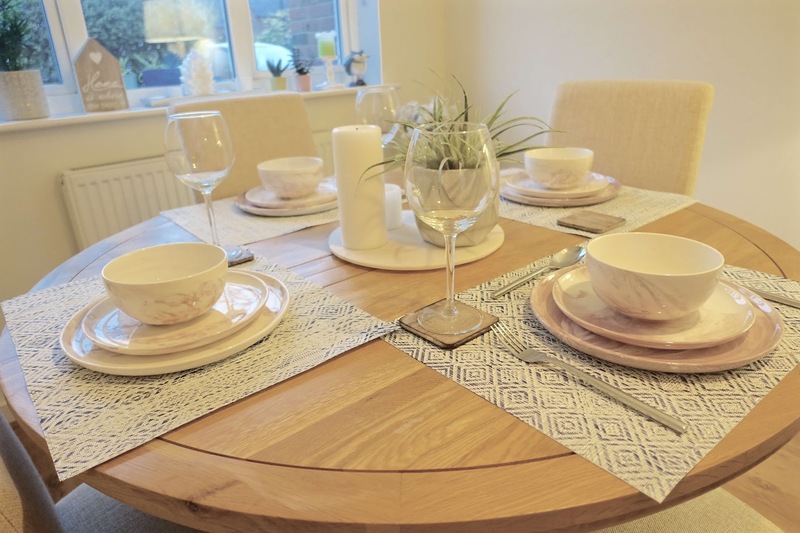 Yes, I have those everyday white plates for in and out daily use, although this table setting is the perfect day to evening transition - something a little extra fancy for when I have my friends or parents over for dinner or are celebrating a special occasion. 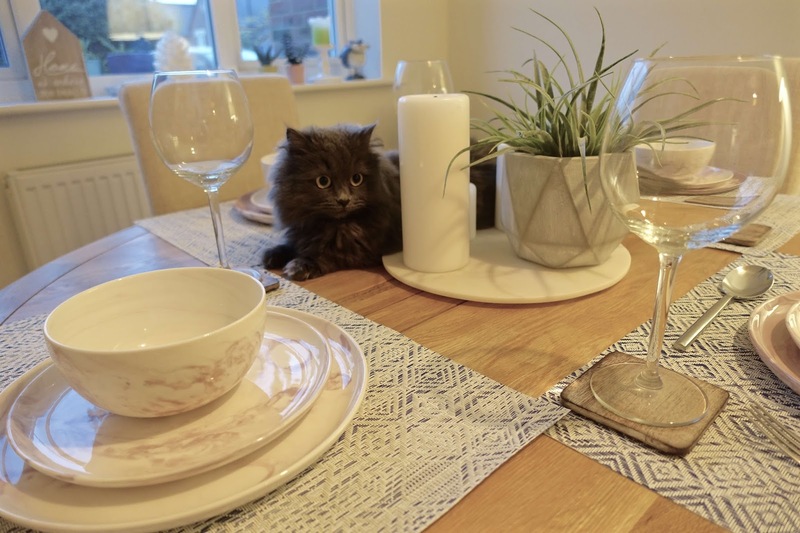 It coordinated even better with my other home accessories as I recently stumbled across a thick, circular marble cheese board when browsing my local John Lewis. 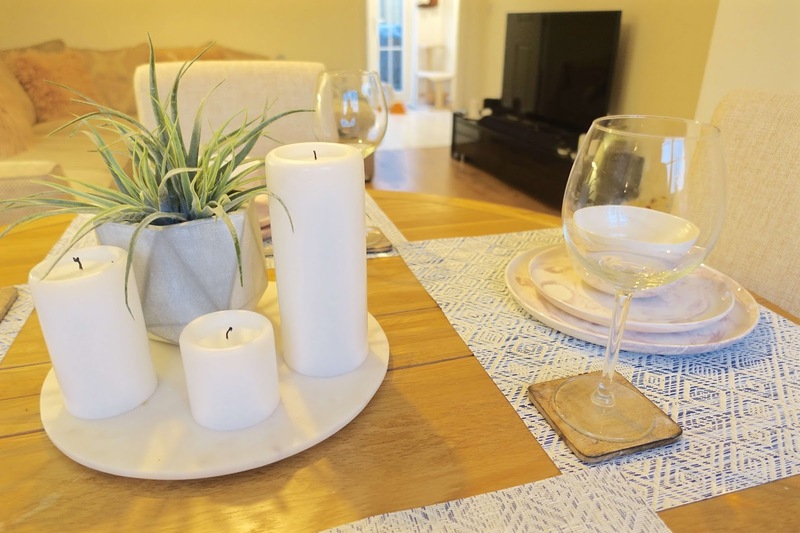 Of course, my immediate thoughts were not to use for it's intended purpose - how gorgeous does it look as stand for my fake houseplant and tiered pillar candles? 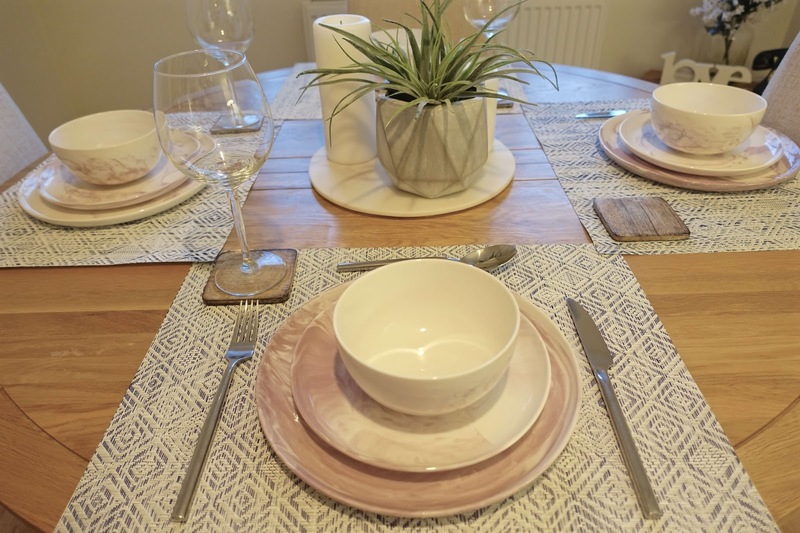 Last but not least, I needed something to finish off the spring pastel coordinated look and these light blue woven placemats with a geometric diamond pattern by Chilewich were the perfect finishing touch! Granted, they're a little on the expensive side, however, these are made from 100% TerraStrand vinyl which has Microban antimicrobial protection which works tirelessly to inhibit stains, bacteria, and mildew.